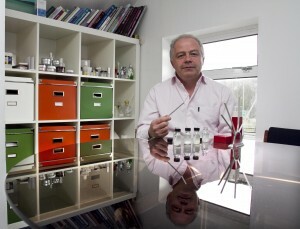 David Cox: All of our perfumes are inspired by some aspect of Ireland, something beautiful or magical that inspires us. Our first perfume (Innisfree) was inspired by a poem by WB Yeats, the Irish Nobel prize-winning poet; “Inis – the energy of the sea”, our unisex cologne, was inspired by a summer walk on the beautiful beach at Roundstone in County Galway. Lauroly Q- I love your simple but also grand mission for your company–“To inspire and uplift and make people happy through their senses and to promote an understanding that we are all connected and we should all strive to make a better world”. Many don’t think about the artistry of perfume. 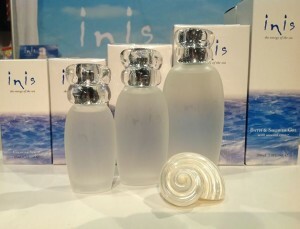 You worked with an independent master perfumer Arthur Burnham to develop your special Inis line. He trained with master perfumers like Jacque Polge Chief Perfumer for Chanel in Grasse, France “the perfume capital of the world”. It was definitely a project for a master, because how do you capture the energy of the sea in a bottle? Rose petal notes we can understand! David Cox: A good question, and one that Arthur was struggling with after we had given him the brief. He rang me from his perfumer’s lab and admitted that he couldn’t get his inspiration and he didn’t know where to start. So I suggested we go to the source, the beach, and drove him to Roundstone Beach which did the trick. “I’ve got it, I know what I’m going to do” he said after just a few minutes on that brilliant summer’s day smelling the fresh sea air, he knew that (in brief) he needed to mix fresh lemon scents with sweet florals (Lily-of the Valley) and then to make it a little masculine and salty with cloves and woody scents. And that’s what he did, he went back to his lab and did the detail which involves many other ingredients too, but held true to that inspirational mixture that came to him that day on the beach. Lauroly Q: Your message on every bottle of Inis is “no man is an island”. A great message of inter-connectedness. The word Inis means “island” in Irish and your love for the sea has driven your dedication to “The Irish Whale & Dolphin Group” in Ireland. Tell us more about the conservation efforts of this group and your company’s involvement. David Cox: We have been the core sponsor for the IWDG for many years now and it still seems as natural a fit as it did when we started. We draw our inspiration from the sea and want to do something concrete to give back and help safeguard this natural resource; the IWDG do excellent and vital work helping preserve whales and dolphins in Irish waters. In 1991 Ireland was the first European country to announce its waters within the 200 nautical mile fishery limits of the country as a whale and dolphin sanctuary. This was an independent Irish declaration and was strongly influenced by the IWDG. Lauroly Q– I understand you have developed your collection to include skin creams and lotions and once again have been inspired by the sea. Tell us about your work with the University of Galway and your investment in seaweed research. David Cox: We commissioned postgraduate research at the Martin Ryan Marine Research Institute at NUIG (National University of Ireland, Galway) into all seaweeds growing on the West Coast of Ireland, their beneficial effects on the skin and which seaweeds would deliver the best results. 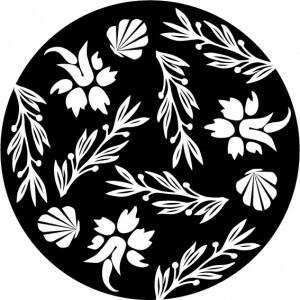 We have, in fact, discovered a wonderful variety of seaweed which hitherto has never been commercially used, which has remarkable ingredients for the skin’s well-being. We also developed a heat and chemical-free method of extracting the ingredients from the seaweed, so they could be used in close to their natural state in our skin products. We will be launching our skin cream soon, I hope. (I should add that our seaweed is hand-harvested and in a sustainable way). Lauroly Q- Thank you so much David for joining me here at World Wise Beauty and sharing your Irish cultural values with us. 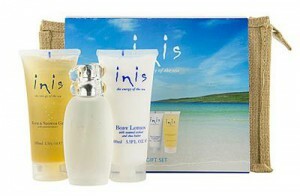 Inis is an inspirational “Ideal Find” for me and I think the rest of the world will agree. Visit their website to learn more about the complete Fragrances of Ireland collection and follow Inis Energy of the Sea on their Facebook page. May we all find the mermaid in us and protect our oceans and their magical creatures worldwide. To learn more about the Irish Whale and Dolphin Group click here.